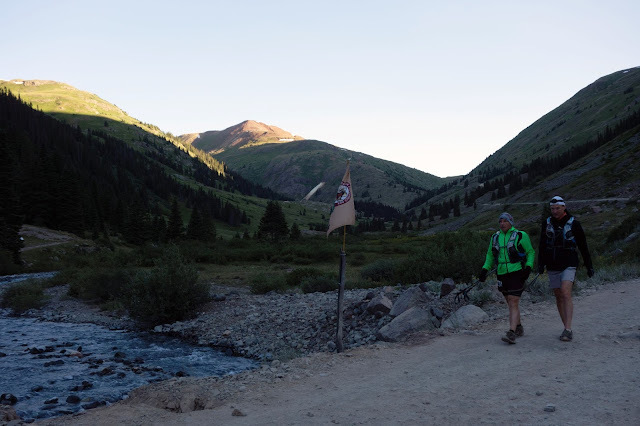 This past weekend, Beat and I traveled to Silverton for his third running of the Hardrock Hundred Endurance Run. This hundred-mile loop through the San Juan Mountains is particularly revered in ultrarunning culture for its "wild and tough" reputation, and also the family-like community that has formed around the annual event. 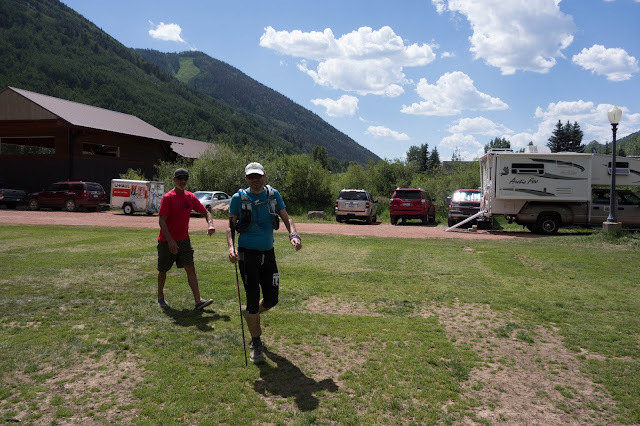 Thanks to its desirability, Hardrock has a small army of volunteers to put together a race where runners enjoy extensive support and five-star service at aid stations that are only accessible on foot. But even more than that, Hardrock and its mountains have an ethereal quality that draws people back year after year, and makes it so appealing that the odds of getting through the lottery as a first-time applicant now border on hitting it big in Vegas. It was difficult to gauge how excited Beat was for Hardrock this year. He's had a somewhat rough few months of training, adapting to a new climate and altitude along with the demands of a new house and job. 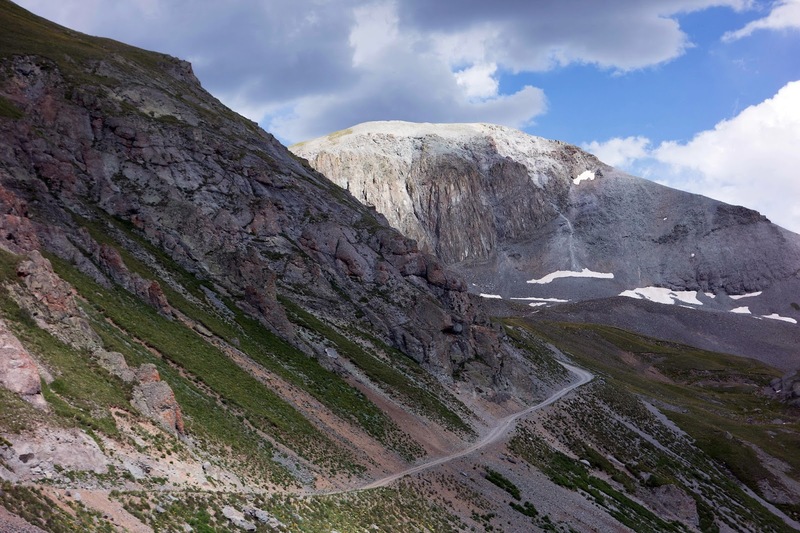 With his annual Alps 200-mile double-header coming up in six weeks, he grumbled about putting together the speed for a "sprint" race like Hardrock — mostly a joke, but with an element of truth. I imagined he'd put it together anyway, as Beat doesn't often fail — actually, I don't recall him failing even once in the six years I've known him. Even so, he was nervous after coming down with the stomach flu a week ago, with residual gut issues that were still bothering him the night before the race. I was looking forward to crewing Beat and supporting other friends in Hardrock, which is a fun crowd to hang out with and a beautiful place to spend a few days. Still, I have my own health and fitness issues right now that are causing angst, which only amplifies when I'm around this environment. When greeted by friends who I mainly see at ultras, I always received two questions: "What are you training for right now?" and "Are you pacing Beat?" I'm not training for anything technically because the only event on my calendar is the 2017 ITI, and I'm not even back on a bike yet following hand surgery. And I'm not pacing Beat because I can't keep up. Really. Even for 10 miles at Beat's 100-mile pace. Don't tell me, "You can do it." I can't. Really. Why can't I keep up? Because I can't breathe. I need to slow or stop after I become winded when my heart rate spikes into the low 150s, which is terribly frustrating because just two years ago I was running full 50Ks with an average heart rate of 162. So basically I'm in Zone 3, barely working my cardiovascular system, but I still can't breathe. Pushing harder doesn't improve my fitness — I actually think it's made things worse. But my endurance is still good so I no longer enjoy the satisfaction of tired muscles or fatigue, because really the only things getting much of a workout are my lungs. This is frustrating. I'm working on figuring it out — allergies and asthma are likely to blame. But for now I don't really know, so there's angst. 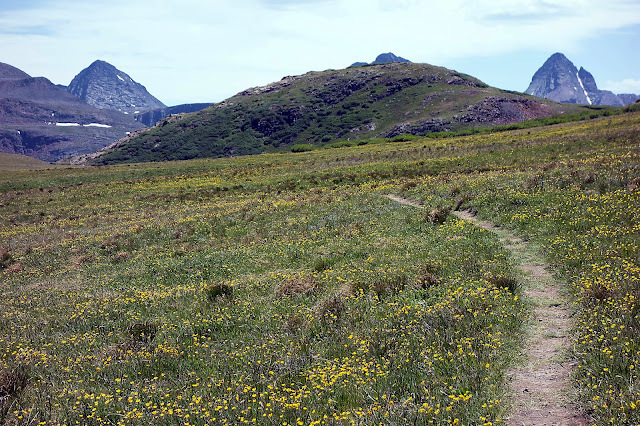 Anyway, even with my pathetic fitness, I could still crew for Beat and squeeze in a few beautiful hikes in the San Juans. 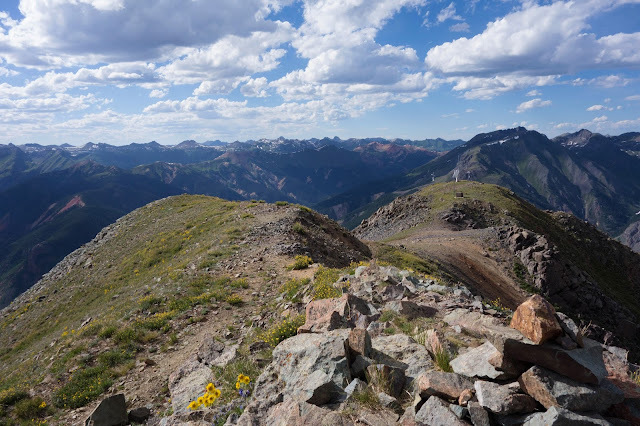 After the pre-race stuff on Thursday afternoon, I had four hours to kill before dinner, so I went for a quick jaunt up Kendall Mountain, a 13,000-foot peak above Silverton. Because of the time constraints, I put in a solid effort, scrambled the final 400 feet to the summit, and still made it back only seven minutes late. I was feeling pretty good about myself until I compared my time to my previous outing on this 12-mile "run" in 2012, when I was a full 38 minutes faster. Damn you, Strava. Crewing for a race like Hardrock is demanding, even though I was only planning to hit four of the five allowed aid stations. 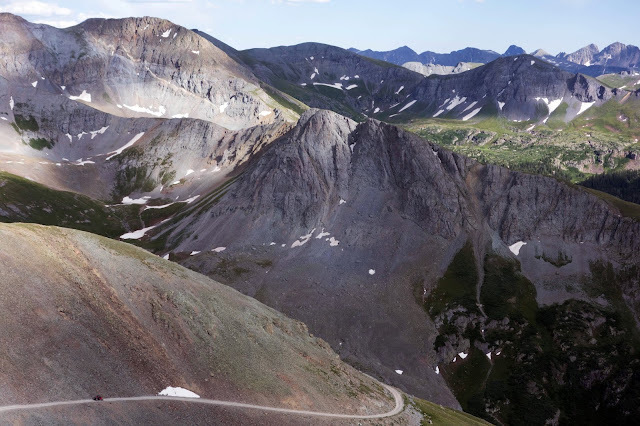 While runners traverse rugged trails, support crews without adequate off-road vehicles or driving skills are required to drive for two and a half hours all the way around the mountain range just to bridge two places that are 27 miles apart. Between the travel and the supply replenishing and the waiting, it's difficult to find time to eat or sleep. But I always make time for adventures. In Telluride, I hoped to hit the trail early and hike backward on the course so I could watch race leaders descend into town. As a hopelessly awkward person, I view the flowing strides of talented mountain runners as a dance, as beautiful as any human movement. 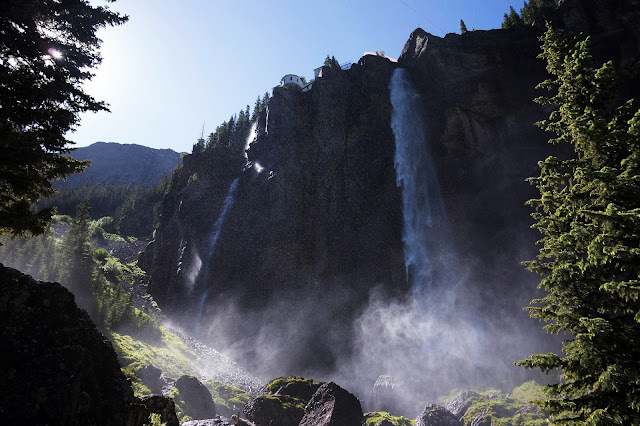 However, the course into Telluride followed a different route than it did in 2012, and I didn't realize it until I'd hiked for more than an hour to the top of Bridal Veil Falls. This was very disappointing, but not enough to turn around. 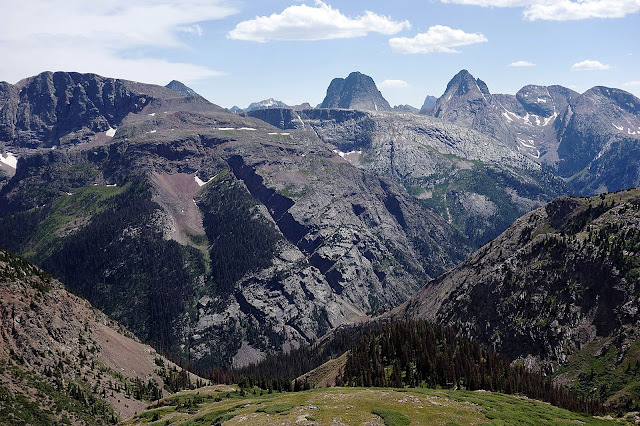 Instead I hiked toward Black Bear Pass, which turned out to be a rugged but heavily used jeep road. Stepping off the road for a steady stream of rented Rubicons, breathing their dust and finally just venturing overland to avoid them, put me in an admittedly bad mood. This all culminated after I turned around and had one jeep shadow me for almost an hour — nearly three miles — as I hiked downhill. I kept looking over my shoulder so I could step off the road to let them by, but they weren't moving any faster. Yes, it was a steep and rocky route and they probably weren't experienced off-road drivers, but still. Three miles an hour. I would probably go nuts if forced to sit in a vehicle moving that slowly. At least Telluride was a fun aid station. I sat on the grass with a group of friends and had a nice picnic with some of Beat's snack food and Perrier. 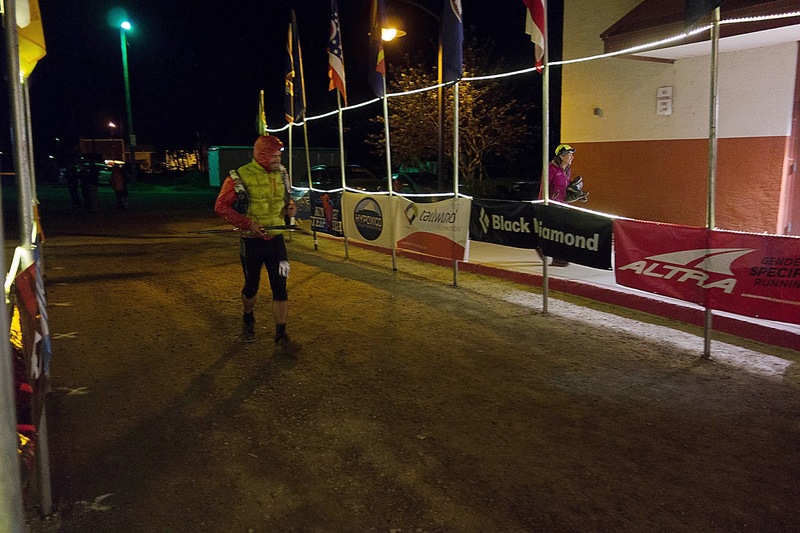 Beat came into the aid station on schedule and looking strong, but said his stomach was already bothering him quite a bit. I anticipated a long night of force-feeding him chicken noodle soup, and got the stove ready at the next stop in Ouray, which Beat hit just before dark. He was still doing well — at least he wasn't yet barfing like he was in 2012, but continued to feel nauseated and unable to eat. I heated up coffee at a picnic table as an attentive volunteer came over to take orders, then brought several plates of food. When I praised the aid station service, he urged me to leave a positive review on Yelp. Hardrock is an awesome event. After Ouray I caught an hour and a half of sleep in our tent/homeless encampment in Silverton before I woke up in a panic, unable to breathe. This was actually my first experience with shortness of breath while sleeping, and it was a little scary. The inhaler does help quite a bit in these cases, which leads me to believe more and more that I am dealing with chronic asthma that may be worsening. The drive out to Grouse Gulch is unfun, as I really dislike piloting a vehicle on narrow roads with dropoffs, ruts, and rocks. I decided that if Beat ever races Hardock again, I will bring a mountain bike and make it my personal challenge to reach the aid stations before him — although I wouldn't be able to carry a cooler on my bike. The temperature was in the mid-30s and there was a strong breeze, so I put on puffy pants and made all of the other crewpeople jealous. Beat came in around 4 a.m. looking pale, and I tried to coax him to eat soup and quesadillas. This photo is my friend Steve arriving with his pacer, Harry, around 7 a.m. He was having breathing problems, so I loaned him my inhaler. After the breathless episode while sleeping, I felt nervous about parting with it, but I really hoped it would save his race. 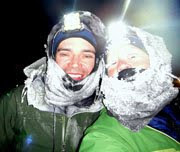 Unfortunately, his breathing problems became worse and he decided it would be unsafe to go beyond the next aid station. This was a smart decision. After my California friends left, I spent a few hours languishing at Grouse Gulch while debating whether to hike to Handies Peak. My breathing was getting worse, I didn't have an inhaler, and with the limited sleep and lack of real food, I was feeling pretty lousy. Ultimately I decided not to go, and instead watched the back-of-packers leave the aid station close to the cutoff. It is inspiring to witness the determination and grit of the Hardrockers. I swung over to the final aid station, Cunningham Gulch, where I still had quite a few hours to kill. 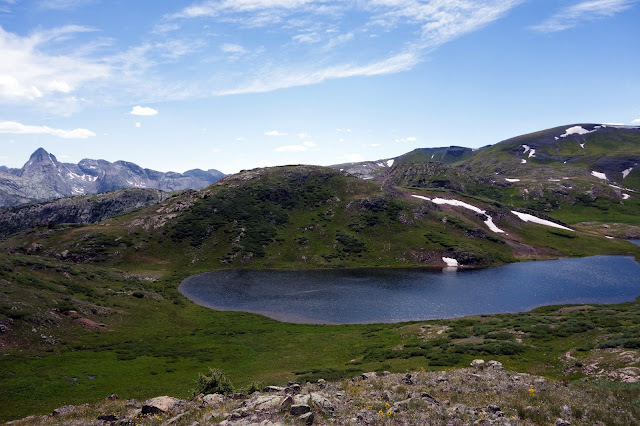 I decided I could hike slowly up the gulch toward an area called Highland Mary Lakes. My breathing was rough, and I didn't have the inhaler which made me anxious, but this was a fantastic place to visit. Pretty quickly this trail takes you into the high alpine, where one can traverse any number of high ridges along sparkling blue lakes with stunning views of the Grenadier Range. I hiked to a high point and sat for a while, enjoying the breeze at 12,600 feet. 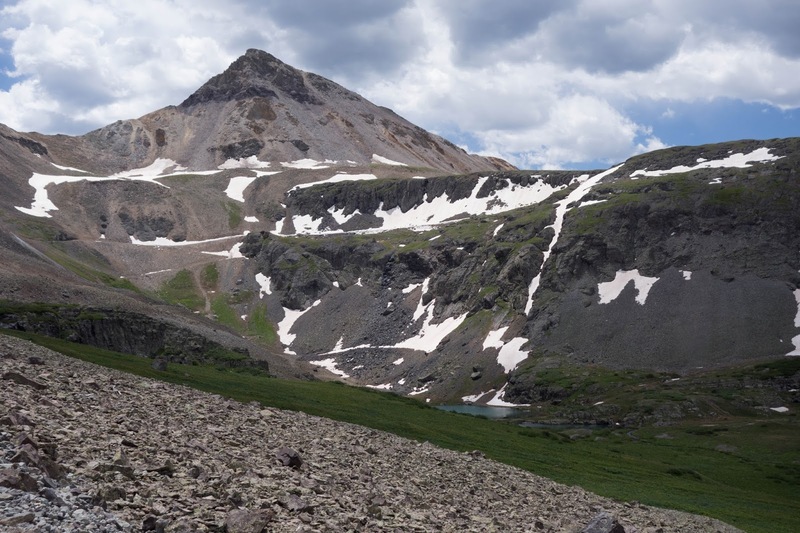 This year was the hottest Hardrock on record, and temperatures in the 80s can feel downright blistering at these altitudes. I remain amazed at all the folks who completed the race this year. I think managing heat issues for this distance is much more difficult than cold weather and rain (I am basing this opinion on my experience last year at UTMB, when temperatures hit 36C.) However, no one missed the lightning storms. Beat arrived in Silverton just after 3 a.m. Sunday morning., after nearly two days of nonstop traveling. He actually looked pretty fresh. Kissing the hardrock is part of the tradition — rituals like these are another aspect of Hardrock that make it more of a community than other events. Proud of him! Congratulations Beat. Jill so disappointed for you that your health is still not improving. Your determination to keep on, should be rewarded. Congrats to Beat! 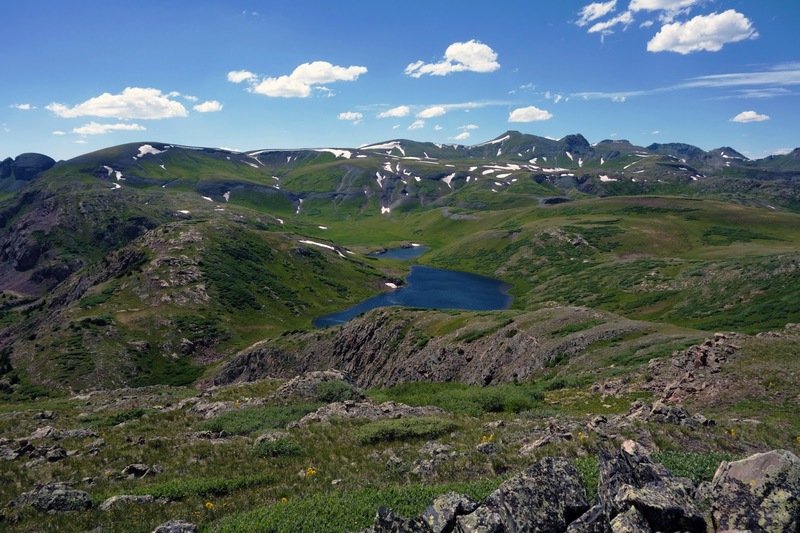 You were in my favorite part of CO. We spend at least a couple of weeks camping out that way every summer. I still have it to look forward to! Great photos. And I forgot to say how sorry I am that your breathing is still such an issue. I have struggled through health issues for years, and I love seeing your attitude that you're still getting out there to do what you love, even if it is at a lower intensity. I hope that you can find a great doc who can figure this out for you. Great photos. I love the San Juans. Hope you see a doctor soon about your lungs. And big congrats to Beat for finishing a tough race. I was wondering if you guys were going back to Europe again. Have fun over there. Jill,Ive being reading you blog for years now and so sorry to see that your breathing has become an issue. Heard recently of Vocal Cord dis-function with cross country skiers, a condition which is often misdiagnosed as asthma , Felt I had to pass it on, hope things improve soon. Hi Jill, have you gotten a bronchoscopy or chest ct scan? The reason I ask is that my dad has chronic breathing problems which get much much worse as he gains altitude, and he has quite a bit of scar tissue in his lungs from his earlier years. Also, have you gotten an O2 saturation monitor? (~$40 at Walgreens) they can be pretty informative as to what situations make breathing more difficult, i.e. Trigger situations. I like your blog, been reading for quite some time! Hi Jill, I'm so sorry you're still having breathing issues in such a beautiful place. The San Juans are so great. Glad you are trying to carry on, though. Congrats to Beat! Hey Jill. Thanks again for all the help even though you'd have been better off keeping the inhaler (and I'd have been no worse off). Looks like I'll be traveling down the same roads as you to try and figure out my own breathing issues. Also, I didn't realize I looked that bad coming into Grouse! How the hell did I make it over Handies? Thanks for the comments! I'm seeing a doctor next week to have an allergy skin test and lung function test done, and hopeful on moving forward from there. At this point I'm hopeful this is asthma, which is treatable, and not lung scarring or another type of lung obstruction that would require surgical intervention. Breathing issues are pretty tricky. I appreciate the support. Steve — I didn't think you looked that bad at Grouse! 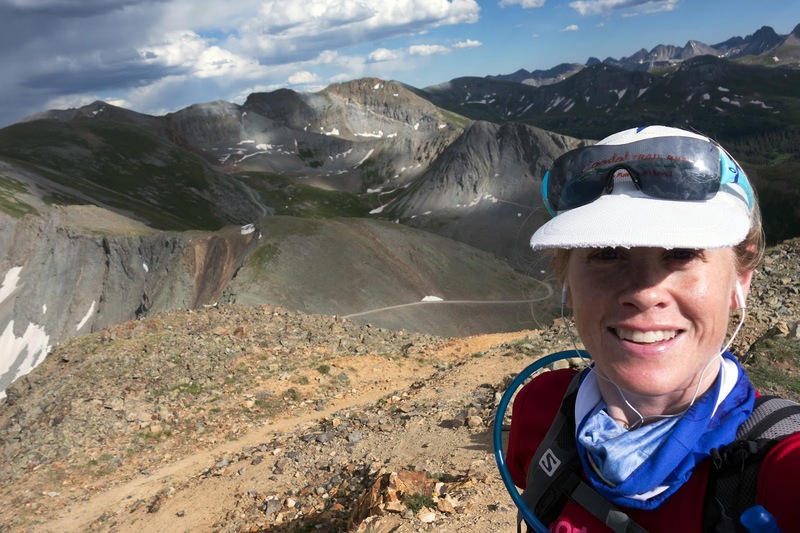 ;) I'm bummed the inhaler didn't work for you, but I haven't had much success with it either when I needed it during times of continued heavy breathing, such as the Tour Divide and UTMB. It opens the airways but it can only do so much when constrictions are severe. I wish you to best on this "journey" of figuring it out. Maybe your issue is truly Hardrock specific (localized allergy perhaps, or simple altitude) and you won't have issues elsewhere. Once can hope! If I ran like that, I'd likely fall a fair amount less. Looks limber and reactive.